Cutting-edge and trendsetting, the all- Jeep Renegade is the rugged little subcompact sports-utility vehicle that will grab everyone's attention in Metairie, Kenner, and Slidell when itÂ's cruising the streets. With its distinctive style and amazing power, this amazing little performer is about to set the world on fire. If you are ready to explore this robust rebel, head to Premier Chrysler Jeep Dodge Ram where we have a large selection of Renegade models in stock for you to explore. Once you see everything the 2016 Jeep Renegade has to offer, you will be ready to head up the trail in one this afternoon! Head to New Orleans and visit our Chrysler Dodge Jeep Ram dealership, located at 13000 I-10 Service Rd to find a Renegade of your own. Both the 2016 Jeep Renegade and the Chevrolet Trax are new models to their brands' lineups with something to prove in their second year on the market. 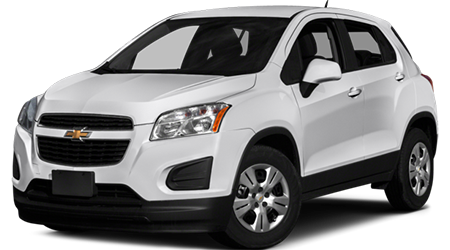 Let's compare how the 2016 Jeep Renegade does against the Chevrolet Trax. 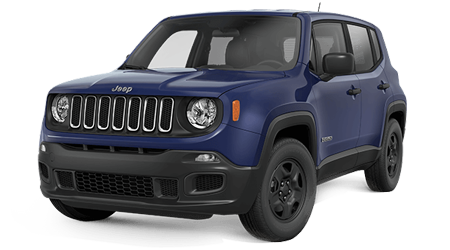 You will save from the start in the 2016 Jeep Renegade, by keeping more than two grand in your pocket before we start any negotiations at Premier Chrysler Jeep Dodge Ram when you choose the Renegade over the Chevrolet Trax. With its starting MSRP of $17,995 compared to the Trax' $20,300 starting MSRP, the Jeep Renegade comes loaded with features for less money. You will be well-equipped for less money with the 2016 Jeep Renegade. Come to Premier Chrysler Jeep Dodge Ram and explore the new and exciting 2016 Jeep Renegade. We have a large selection of these amazing subcompact crossovers in stock at our New Orleans Chrysler Dodge Jeep Ram dealership and are eager to show shoppers from all over Metairie, Kenner, and Slidell how amazing this new model is to drive. Head over to see us at 13000 I-10 Service Rd and explore the Renegade today!